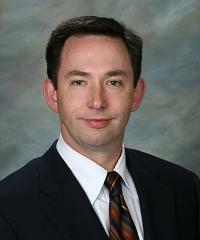 John W. McClellan, MD is a fellowship trained and board certified orthopedic spine surgeon at Nebraska Spine Hospital. He treats pediatric and adult spinal patients. Dr. McClellan has special interest in adolescent lumbar stress fractures, lumbar surgery outcomes and surface area and its role in post operative stability. He performs surgeries for disk herniation, spinal tumors, spinal fusion, spinal deformity (scoliosis), and spinal cord decompression. Dr. John McClellan completed a fellowship in Pediatric and Adult Spinal Surgery at Queens Medical Centre in Nottingham, England. He competed residency and medical school at Creighton University.